The passage of time and the need of the market forced us to reduce the delivery time. This created us a real problem that we should give a solution, the key word was FLEXIBILITY. We started to work and we decided to open a new line of flexible and great precision machines, that’s when we created the plant of machines C.N.C. 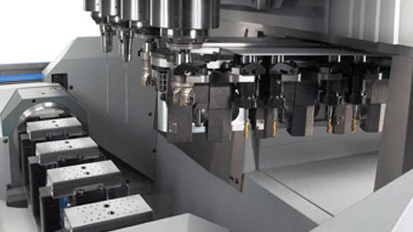 Nowadays we have a high number of machines C.N.C., with 8, 10 and 12 axes, which can make any type of complex piece, of a diameters from 2 mm., up to 120 mm.